Orphaned and blind seven-year-old Callie has a service animal - a goat with extraordinary powers. When a mysterious letter arrives detailing a top-secret investigative operation, Ben and Venus think they've found their chance for redemption. The mission? Investigate a goat. 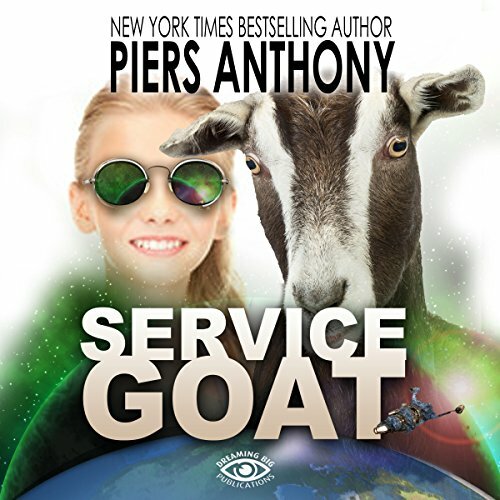 Piers Anthony's Service Goat is an extraordinary tale rich with adventure, extraterrestrial visitors, secrecy, dangerous governmental operations, and the classic hints of mischief that listeners have come to expect and love from the New York Times best-selling author of the Xanth series.